Tiny Owl’s exciting highlights of 2018! You are here: Home / Tiny Owl’s exciting highlights of 2018! 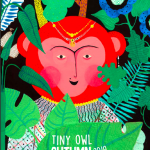 2018 has been a fantastic year for Tiny Owl! We’re going to take a look back at all the wonderful things that happened. We published some brilliant books, and had a whole host of brilliant award nominations. The range of authors and illustrators we collaborate with has expanded to include people from Switzerland, Scotland, Finland, the U.S., Zimbabwe, South Africa, Iran and more! 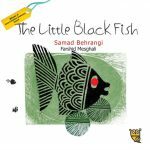 We celebrated the birthday of The Little Black Fish at Hay Festival! 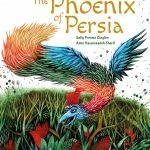 The year got off to a great start when we published the heartwarming tale A Bottle of Happiness and the stunning wordless picture book Chalk Eagle. Way back in February, we also published The New Baby and Me. Then in March we published The Drum, a fun book that will get early years children moving and dancing to the beat! 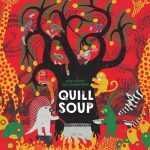 It’s the first in our series Children Music Life, and also our first book for toddlers! Our other spring titles were Thinker: My Puppy Poet and Me, and the fabulous fairytale Cinderella of the Nile! Cinderella started off our series of retold fairytales and fables from around the world, One Story, Many Voices. 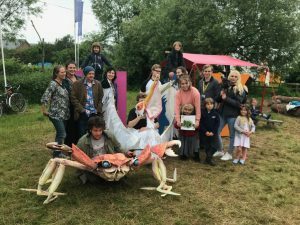 We also celebrated the 50th birthday of our classic Iranian picture book The Little Black Fish with an incredible puppet performance at Hay Festival! 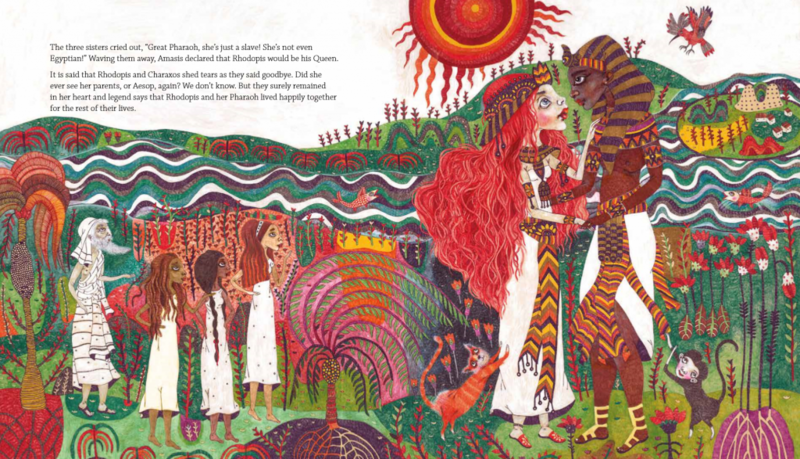 Illustrator Ehsan Abdollahi and author Eloise Greenfield at Edinburgh Book Festival! 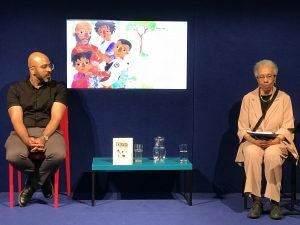 During the summer, we flew to the Edinburgh Book Festival! Ehsan Abdollahi, illustrator of Thinker: My Puppy Poet and Me, was named Illustrator in Residence! We had a fantastic time at the festival. We were delighted that author Eloise Greenfield flew all the way from America to join us! The Parrot and the Merchant was chosen by Empathy Lab as one of the best children’s books to promote empathy. Then in August, we published another wordless book, Caged by Duncan Annand. 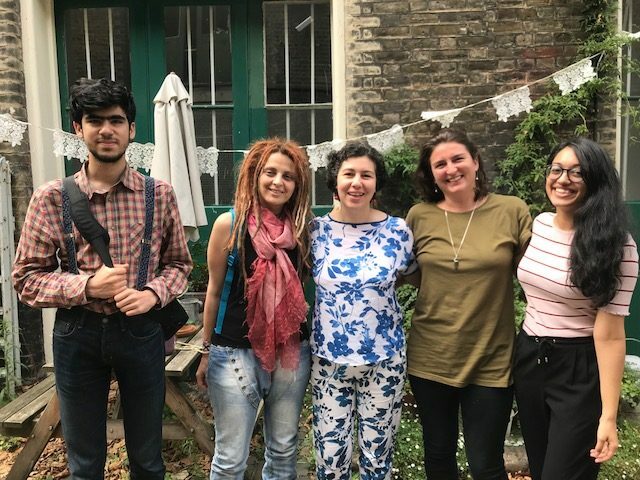 We were lucky to have fabulous artist Marjan Vafaeian visit us all the way from Iran! She’s such a creative character, and a wonderfully kind friend. 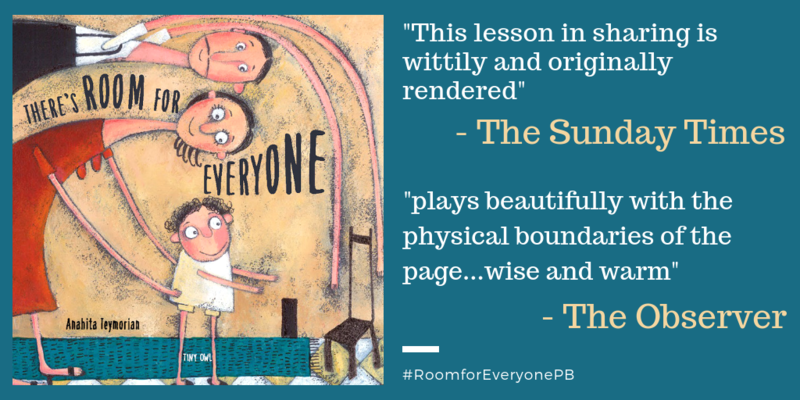 In September, we published There’s Room for Everyone, a heartwarming tale about love and acceptance by Anahita Teymorian. This started off our series Hope in a Scary World. The book was very well received, with fantastic reviews in The Sunday Times and The Observer. 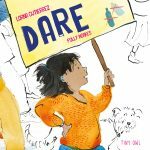 We also found out that The Drum was longlisted for the UKLA Book Awards! The Lion Tattoo was also shortlisted for the British Book Production & Design Awards. To top it all off, the prestigious Carnegie and Kate Greenaway Awards chose our books for their selection of the best diverse books. Tiny Owl started our own video series, Twit Twoo, a fun roundup of everything that went on during the week. As the days got shorter, we celebrated Halloween with a special episode! We also took part in the Knights Of Pop-Up Bookshop in Brixton, a celebration of diverse and inclusive children’s books. The event was a great success and we had a lot of fun! 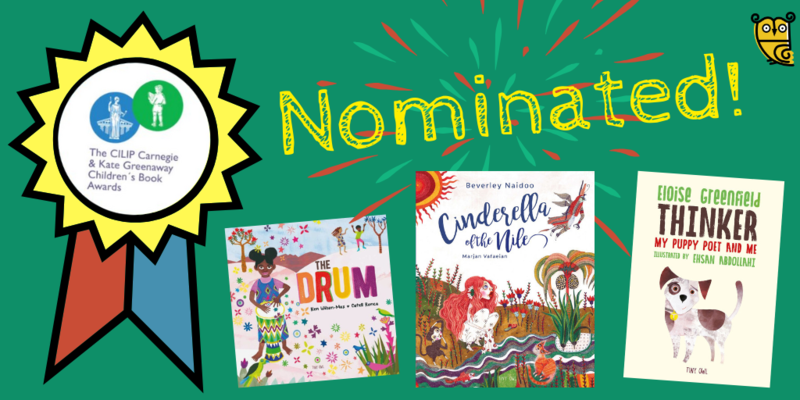 In November, The Drum, Cinderella of the Nile and Thinker: My Puppy Poet and Me were all nominated for the Kate Greenaway Medal. These three books were also featured in The Evening Standard as examples of the best diverse children’s books around! 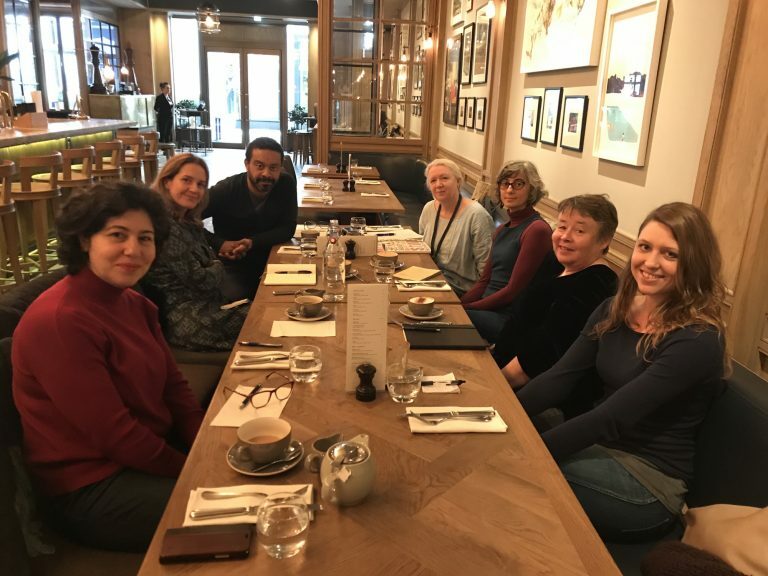 We met with our fellow small independent publishers Alanna Max, Lantana and Five Quills to talk about how we can work together to achieve our common goal of promoting diverse books and publishing the 1%. Our new alliance will be meeting again in January – we can’t wait! We’ve learnt a lot this year and had some amazing times. We can’t wait to share our fantastic new titles with you in the new year, including Grobblechops and The Flute! We’re also very excited that starting next year, we’ll be distributing our books in the U.S.! We wish a happy new year to all of our lovely readers!